Turning the IT organization into a highly effective shop is a success onto itself. However, to maximize a CIO’s contribution to the organization he/she needs to be a trusted business adviser and problem solver helping departments or functional areas solve business problems, improve processes and provide leadership. For CIOs to maximize their effectiveness in helping organizations meet their strategic goals the following guidelines can be implemented to elevate him/her to the soft title of the trusted business adviser. Firstly, CIOs need to seek continual process improvement. They should collaborate with all stakeholders to work towards a win-win. Nurture business relationships as if partnering with vendors. CIOs ought to require business to own IT projects and provide thought leadership as a means to changing people’s behavior. 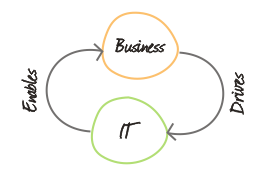 The IT organization is responsible for implementing systems to support process. As technology matures with the availability of comprehensive packaged software, the need for technical expertise is reducing as packaged software is more often being implemented with customizations, specific configurations and system management as opposed to homegrown development. Business is about people and process. The goal of any system is to automate process(s) that exist to operate a business. Applications are only as productive as the process they support. If the process is inefficient or ineffective, software will only magnify those perceptions. The CIO needs to review all processes surrounding the functional area that the intended application implementation is proposed. He/she should review and document the current processes, understand what works and what doesn’t as well as review all new ideas on process improvement. A gap analysis should be conducted to support the migration from the business’s current state to its goals. The CIO should forecast where the business will be 2, 5, 10 years from now. Supported by available industry information and trends, the CIO along with the stakeholders should forecast market changes, potential barriers to market entry, competition and regulatory compliance requirements as applicable. Working with business personnel focusing on business process gives IT the invaluable business insight it will need to deliver the right solution. The business process review and gap analysis has the potential of yielding efficiency gains without additional investments in technology. Additionally, it’s certainly possible that improving manual processes can generate significant gains without material capital investment. IT can hire consultants to collaborate with stakeholders in solving business problems as consultants bring a fresh 3rd party perspective to solving problems. However, IT can certainly approach business problems as a consultant and provide value adding service. As a differential over outside consultants, IT has insight into the business such as knowledge of the people, culture and strategic direction that outside consultants may not necessarily be privy to. Also, as IT dissects business process it is very likely that disconnects within the organization and between organizations will emerge. Bridging disconnects is a matter of putting motivated people in a room, point to the disconnects and be assured that the group will develop workable solutions. Part of the group dynamic is leveling the knowledge and understanding across all in the group as people are different and process information differently. It’s commonly assumed that what one person knows is also known to others. Assumptions like these significantly hinder progress and the ability to solve problems. The role of a CIO is inherently cross functional. CIOs already possess comprehensive knowledge of the business and should position themselves as a facilitator to better align people and process. Facilitating group dynamics is an art that requires humility, sincerity, passion for your work, openness and clarity of vision. With practice the CIO can become a great communicator and guide all stakeholders to a win-win. As head of IT, CIOs know how to mange vendor relationships. There is an effort to building and maintaining relationships to mutual benefit. Typically, partners know what incentives are needed to keep the relationship mutually equitable. Developing similar relationships internally encourages IT to strive for the same level of mutual incentive sought after with vendors. Applying this perspective to daily cross functional collaboration forces the questions of what’s in it for me and what’s in it for you? Understanding everyone’s concerns solidifies relationships and creates joint incentive on whatever project(s) involve IT and the functional areas. There are various project management methodologies, disciplines and certifications in the industry, most notably, the Project Management Professional (PMP) credential. Despite the body of knowledge in IT project management, IT projects still have a generally low success rate as compared to non-IT projects. The breakpoint in IT projects is usually in the collaboration, organizational issues and process. A common cause of project failures is that there are too many unnecessary projects. Projects that don’t have clear benefits, business/user side ownership and commitment are destined to fail. An effective strategy in weeding out unnecessary projects is to require mandatory business participation. Participation is defined as active involvement in the project requiring the business to fully collaborate with IT at all levels of the project including meeting milestone deadlines, budget control and accountability. If the business commitment is not there the project should be vetoed. All other projects that do have measurable benefits and unabridged business commitment are considered necessary and have the propensity to succeed as the business has a vested interest in the project. In addition, putting the burden of project funding on to the project beneficiary or functional area ensures responsible capital funding. Providing the right thought leadership is important because it can motivate people to think and generate creativity that can yield innovative ideas to solving problems. Positioning the right thought leadership however, requires the CIO to know the existing organizational and “water cooler” structures. As the CIO becomes attuned to the landscape, he/she can begin to look for opportunities to seed innovative ideas. Depending on the individual, providing thought leadership may or may not be challenging as the approach is subjective and more about savvy than binary. There isn’t a road map to follow. However, as a suggestion, I would start with the products and services offered to customers. Put yourself in the customer’s shoes and question the quality and perception of the products and services. Work backwards to whiteboard ideas on quality improvement, shortening time of order to shipment and any other ways to deliver products and services cheaper, faster and better. IT is pivotal in this regard as systems have become the spine of an organization. IT will be expected to deliver on the vision. These are exciting times for CIOs as the role continues to evolve into a business adviser. No longer can the role be referred to as a technologist. Their impact on organizations from back office administration to operations to sales to management is unparalleled in today’s business. Few members of an organization have this level of exposure. Hence, CIOs strive to be the trusted business adviser.